'All About Presentations' by Jazz Factory: How to convert your PowerPoint Presentations into PDF and why? How to convert your PowerPoint Presentations into PDF and why? Why convert your PowerPoint presentations into PDF? PowerPoint Presentations are bulky and converting to PDF will drastically reduce file size. This is especially helpful if you have to email your presentations. If you wish to upload presentations on your website, it is better to upload PDFs and reduce download time. Presentations once converted into PDF cannot be altered or changed by the recipient. You can convert a presentation to a PDF and present from the PDF in full screen view. If your presentation contains animations and slide transitions or you have embedded music or video files you should not convert the presentation to a PDF. All the effects will get lost. 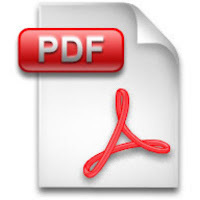 In almost all other cases converting to a PDF does not cause any problems. How to convert a presentation into PDF? 1. If you have the professional version of MS Office 2007, then the converter comes free. Go to Save As and choose PDF. Give a file name and save the file. 2. If you do not have this luxury, you need not worry. There are many options available on the web. You can upload the PowerPoint file onto www.freepdfconvert.com and the PDF file will be emailed to you. The link allows us to install the MS Office Add-On. Once installed we can convert any MS Office file to PDF by going to Save As and choosing as PDF. Thanks so much for the link Clint.